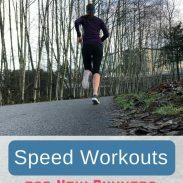 Speedwork, long runs, and strength training are only one side of the equation to improving as a runner. Without rest days, the hard work of training can actually become detrimental – and you might find yourself injured or overtrained. As counter-intuitive as it seems, rest days are essential for runners – and the harder you train, the more important they become. Rest days prevent injury and help you improve as a runner. Running causes microscopic tears in your muscles and a breakdown of your entire physiological system, thanks to the impact load. A rest day allows your body to recover from this breakdown. Recovery reduces your risk of overuse injuries and stress fractures and allows your body to adapt to the training load. Rest days are essential to becoming a faster, stronger runner and achieving your goals. Rest days provide mental benefits as well. A weekly break from training allows your mind to rest as well as your body. You will prevent burn-out from training and keep your mind fresh for your hard workouts and race day. I would also argue that a rest day maintains a sense of enjoyment in running. Even easy runs stress the body. While stress is a desired stimulus in training, too much stress raises cortisol levels and increases the risk of overtraining. Overtraining is marked by fatigue, poor performance in workouts and races, moodiness, and loss of appetite. 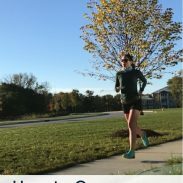 While overtraining differs from runner to runner and training cycle to training cycle, one of the best insurances you can take against overtraining is to include a weekly rest day. You will receive the most benefits from a rest day if you truly rest from all workouts – no running, no strength training, no spin class or other cross-training. Especially if you are pushing yourself in your strength training or cross-training, you are still contributing to the muscle breakdown and not allowing your body to fully recover. One common complaint from runners is that the next run feels sluggish. This makes complete sense: your rest day is when your body repairs from the wear and tear of interval workouts and long runs. Gentle, light movement will help you feel better during and after recovery days. Gentle movement does not mean a run: take a walk, spend time foam rolling, and stretch a bit. 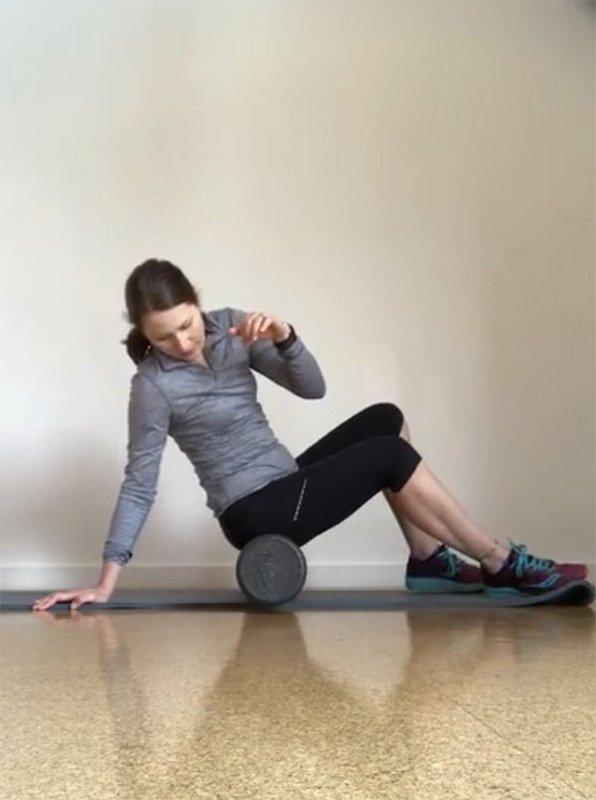 Many runners remark that foam rolling can be difficult to fit in – a rest day is a perfect time to do so, as you have the time to foam roll and it aids in recovery. If you are the type who needs to do something, gentle yoga can be a good option on a rest day. I like to devote my rest days to mobility and stretching. I will take a long walk with the dogs, but to be honest, most rest days I don’t walk over 1-2 miles total. A walk keeps the legs loose without the structure or fatigue of formal exercise. I will also spend some time foam rolling and doing mobility work to facilitate the recovery process and ensure I feel fresh for my next run. I sometimes hear runners say that they ran on their rest days because they felt energetic. Having energy is not an excuse to skip a rest day. You rest so that you do feel energetic – feeling fatigued and tired all the time is not how running should make you feel. In the attempt to schedule hard workouts, long runs, easy runs, and strength training into one week, many runners sacrifice rest days. (I have been guilty of that in the past!) Treat rest days as a priority in your training plan: schedule in a day of complete rest or active rest with a light activity such as yoga or a long walk. Take planned rest days on a regular basis (such as weekly) and you will minimize your chances of taking longer periods of forced rest due to injury or burnout. Contrary to what some people may think, the harder you train for a race, the more you need a complete rest day. 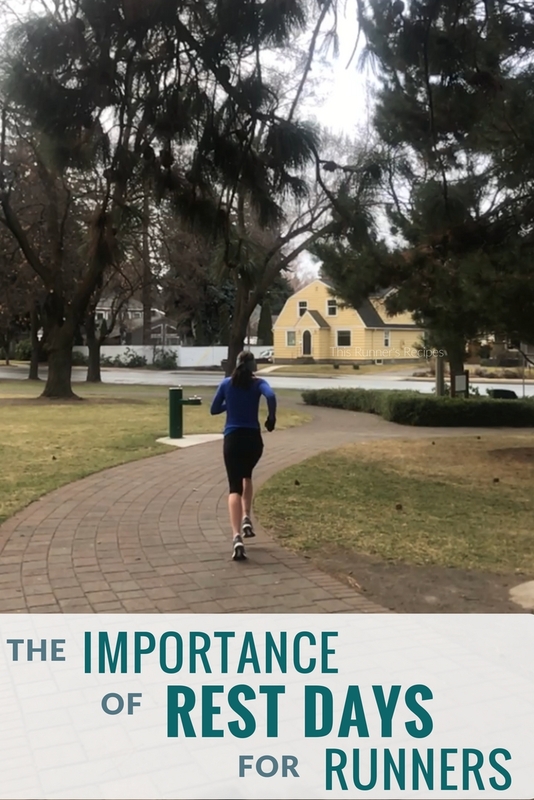 While you may be able to skip a rest day during base building due to the lower intensity and mileage, the hard workouts and higher mileage of race-specific training require more recovery. For female runners, you may notice that you need more rest days shortly before your period or at the onset of menstruation. During the luteal phase (the 12-16 days between ovulation and menstruation), progesterone surges, leaving you more fatigued. Your workouts will also feel harder during this time (again, thanks to high hormone levels). More attention to rest and recovery can help you balance your training with your high hormones during the luteal phase. There are times in life where more rest days are necessary: on vacation, after a race, after a physically demanding event like labor and delivery or surgery (we’re talking rest weeks in this case, not just days), when you are sick, or during high-stress times. When in doubt, take a rest day – too much rest may leave you slightly under-trained, but pushing your body too hard, too often will leave you injured, overtrained, or sick. Rest days are only one factor in recovery – cutback weeks, sufficient sleep, and nutrition contribute to recovery as well. How often do you take a rest day? Rest days are so important! I take at least one a week and on that day I do pretty much nothing- if I take it on Sunday I barely get up from the couch all day. Its a nice way to physically and mentally reset after a tough week. When the weather is nicer I do like to get outside for a short walk. Foam rolling is perfect to do on a rest day as well. I take one rest day each week. This past Sunday was my rest day but we did snowboard. To me, snowboarding doesn’t feel like a workout unless I’m at a mountain with long runs and mushy snow. Then it’s work! I look forward to rest days because it’s a mental break from running and working out in general that leaves me refreshed. This was one of my hardest lessons to learn! When I very first started trying to qualify for the Boston Marathon, I hire d coach after an epic failed first attempt. His first question after looking at my training log was “where are your rest days?” Needless to say, we added them (and some other major tweaks) and I qualified on my second attempt. 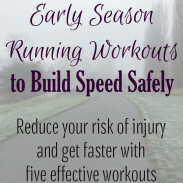 Ever since, I have been treating rest days with the importance of speed days, tempo days and long runs. It ALL counts the same. such a great, informative post. It’s funny – I was always so confused by people who never took rest days and then slowly I noticed over the years that I wasn’t taking enough of them either. Right now I’m back to running less and resting more – and I feel so much better (not even realizing that I didn’t feel great before!). Too much of anything is just not good for us. I’m so glad to see someone else promoting rest days! It’s really important to let your body repair your muscles before you beat them up again. Even if you’re committed to a run streak, you CAN take a rest day–do your easy mile, and devote the rest of your time to recovery activities.